The Harvard Club Arts Initiative launched itself on September 30th to a sell-out crowd. 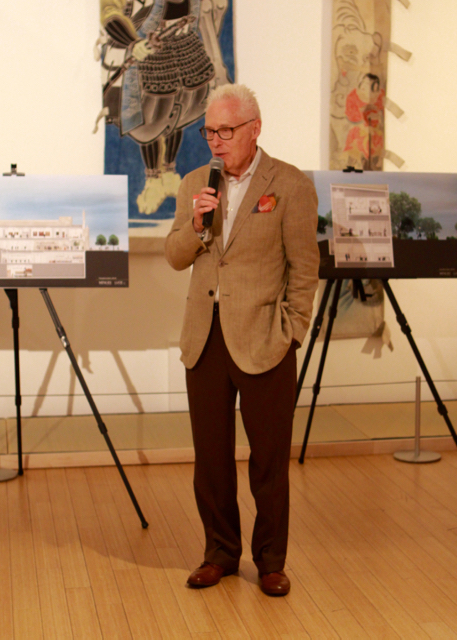 The first event was held at The Mingei International Museum in Balboa Park. Alumni and guests enjoyed sushi and sake, toured a special exhibit of Japanese folk art with the museum’s director, and heard from Harvard-trained architect Jennifer Luce about an upcoming renovation of The Mingei, which her studio is designing. Alumni from Harvard’s College, Law School, School of Design, and Business School, were joined by IvyPlus friends from MIT, Wellesley, Cornell, and Princeton, to create a congenial evening of art and sociability. The second event of The Arts Initiative will take place on November 5th, when club members will tour highlights of the Stuart Sculpture collection on the campus of UCSD, with the collection curator leading the group. Registration is now open on the Harvard Club website.